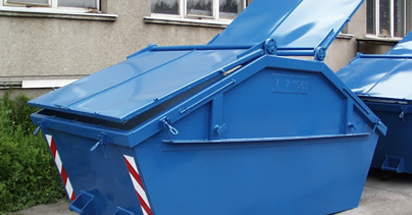 Auscon has a wide range of bins available for the collection and removal of scrap metal. Our range includes 3m3 bins with fork slots and rated lifting lugs through to 30m3 roll-on, roll-off hook bins. We have a wide range of trucks and trailers to back our bin service and can supply a commercial scrap bin for almost every requirement. Our clients are located from Carnarvon to Esperance and as far east as Kalgoorlie. If you have commercial quantities of scrap metal to remove then Auscon has a bin to fit your requirements. We can also provide custom removal solutions for major projects. Contact us today to find out more about our scrap bins, minimum quantities and removal services in your area. Call us on 08 9497 1340 or fill in our online enquiry form for more information.